Many dogs have trouble chewing conventional rawhide, which can present choking hazards. 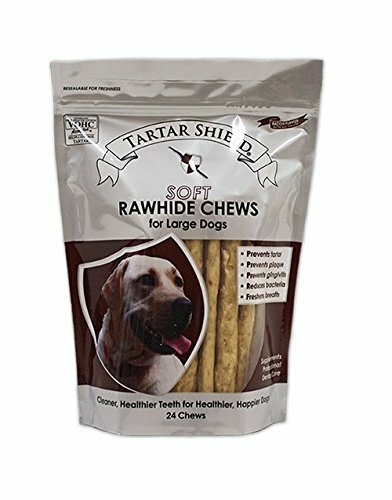 Our Chews are specially made to "give" when your dog bites into them, making rawhide suitable for every dog! If you have any questions about this product by Tartar Shield, contact us by completing and submitting the form below. If you are looking for a specif part number, please include it with your message.